Several years ago, the life of amateur eventer Elizabeth Barron looked very different than it does now. She and her bright red Sachsen-Anhalt gelding, The Graduate, were competing at the upper levels, earning multiple top finishes and even making a bid for the 2011 Pan American Games (Mexico) team. With an impressive record, some high-profile wins and a good dose of talent, Barron had plenty of encouragement to become a professional. But while she and “Benjamin” were competing at the upper levels, Barron was working toward her masters in urban and regional planning from Florida State and then studying at Florida Coastal School of Law in Jacksonville. She chose to remain an amateur. With that decision, she’s entered a new competitive phase of her life—work in business litigation, tax law and trust and estate planning. 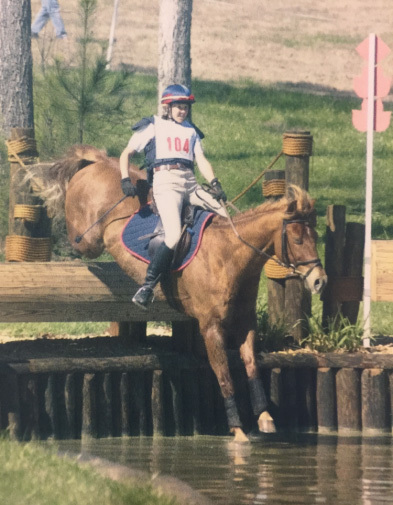 But long before business litigation, and before she was winning at every level she entered through advanced, Barron started her eventing career as on a long-backed, unassuming, 15-hand chestnut Quarter Horse named Corona’s Courageous. He came from excellent reining stock but was a miserable failure at it. Barron had recently lost her first pony, Posi, when “Courageous” fell into her lap. She started jumping him over anything that looked like a jump on her family’s farm—from fallen pine trees, to the upright gates on the back drive, to the concrete water trough in the barnyard—and he picked it right up. Courageous took Barron through preliminary, including a fourth-placed finish in the 2002 North American Young Rider Championships CCI* (Ill.), but that would prove to be the top of the little horse’s scope. Then in 2004, Barron came upon a 6-year-old at Valhalla Farm in Wellborn, Fla. She decided to sit on him, and it didn’t go very smoothly. She went back to try him again and decided he was worth dealing with the spook. Between 2004 and 2011, Barron and Benjamin won numerous horse trials at all levels, and they placed second in the 2008 Ocala Fall CCI* (Fla.) and won the Chattahoochee Hills CCI** (Ga.) in 2011. They won their advanced debut. While eventing, the pair was also competing in pure dressage through Prix St. Georges and in straight show jumping as well. As encouragement to become a professional rider swirled around Barron, she took an objective look at what that life would be like. “So little is in your control with horses,” she said. “If I did this professionally, I would be choosing to make my living off animals who are so finicky, and you just can’t control it. I got a quick glimpse of [the team selection process], and at the end of the day, I wasn’t a real candidate. I was doing it for fun, but for people who do this professionally and making a Pan Am team matters for their career, it can be make or break. But it wouldn’t have for me in my career. “All of a sudden you see it all up close, and you’re like, ‘Oh, I don’t know that that’s for me.’ I like doing things on my own terms,” she added. So as the end of law school approached, Barron made the difficult decision to sell Benjamin. “I was in my last year of law school and looking at taking the bar [examination] and being a new associate at a law firm, and I had a pretty good idea of what that looked like in terms of free time,” she said. One of her dressage coaches, Eugene Abello, helped her navigate the emotional waters of deciding whether to sell her partner. “Eugene said to me: ‘If you’re going to be frustrated in your first couple of years of practice by the fact that you’re not going to be able to compete with Benjamin and feel like you’re getting the most out of working with him, then it makes sense to sell him,’ ” said Barron. 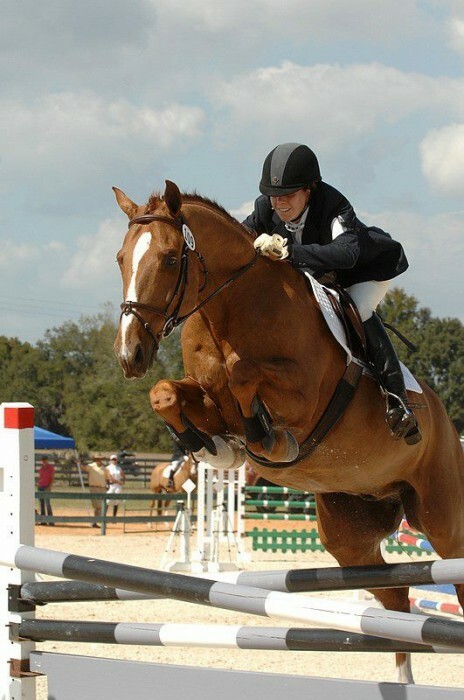 She sold Benjamin to Danielle Dichting Busbee, who went on to compete him to the CIC*** level. As she began working as an associate attorney at Ausley & McMullen in Tallahassee, Fla., and the commitments, committees and boards she served on grew, Barron was having a hard time doing it all. Her current show jumping coach Arden Newsom helped her give herself permission to take it down a notch. 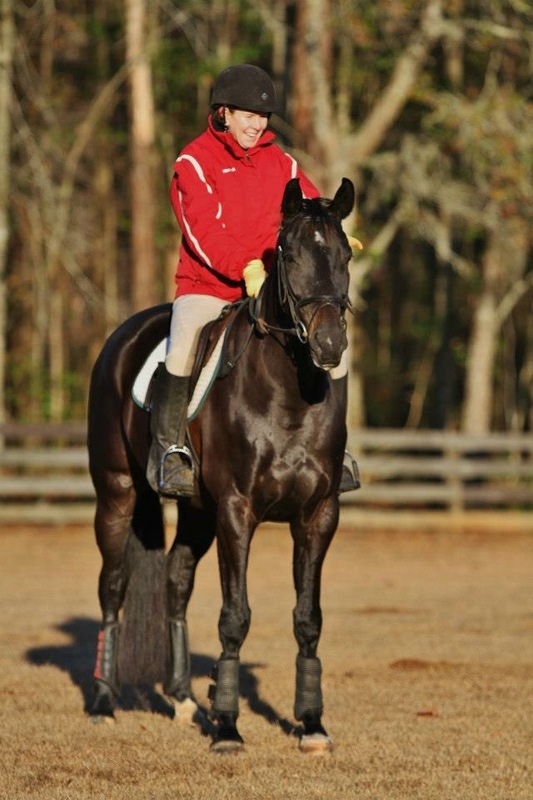 For the last few years, Barron has focused her time in the saddle on a small black Hanoverian mare she found in Germany she named Nolo Contendere, a legal term meaning “no contest.” “Cleo” is not short on athleticism—or on opinions. “Cleo likes what Cleo likes, and I just hope to be able to have even some influence over that!” said Barron. 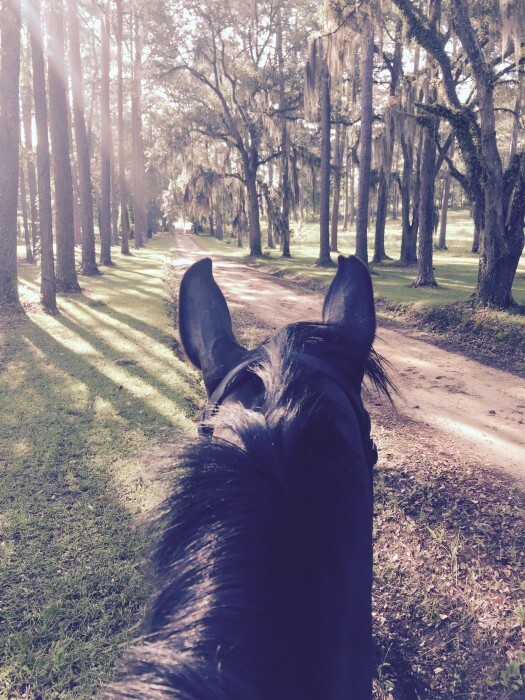 Barron’s still a student of the sport, and she and Cleo are jumping 3’6″ in their lessons, schooling cross-country on the family’s farm, and starting a few steps of canter pirouette in her dressage lessons. She clinics when she can and makes sure a long hack out in the woods happens at least once a week. But competing is not on her schedule. Barron is as serious about practicing law as she was about riding at the upper levels. There are some aspects of competing at the upper levels that Barron doesn’t miss. And though Barron doesn’t regret the decision to remain an amateur and let the horses take a backseat for now, she does miss some parts of it. While it may seem like Barron is easily balancing her legal life with her horse life, she admits the appearance is deceiving.